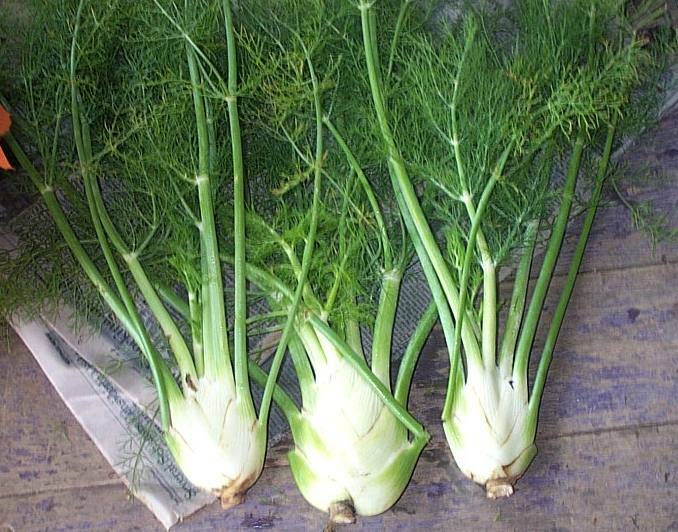 Fennel is one of nine herbs that are considered to have miracles in Anglo-Saxon. It can live from the lowlands to an altitude of 1,800 m above sea level, but will grow better in the highlands. 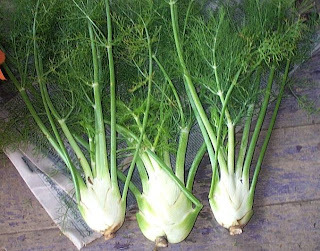 Fennel comes from the eastern Mediterranean region (Italy to the east by Syria). It has the form of herbs that smell nice, bright green, upright, and can reach two meters in height. The leaves grow to 40 centimeters long, ribbon-shaped, with the last segment in the form of hair, approximately 0.5 mm wide. There are many useful substances contained in such fennel essential oils, anetol, anisat acid, fenkon, pinene, anisaldehid, serposterin, etc..
A. As seasoning that can improve the flavor dishes, is also often used utuk mixed salad and substitute celery for the soup. 2. It can help to facilitate and increase breastfeeding. 3. It can help relieve menstrual pain, improving menstrual, and cope with irregular menstruation. 4. Fennel seed can be distilled into fennel oil that can be used to warm babies and children. 5. As an anti-inflammatory, diuretic and antimicrobial. 6. As an herbal medicine that can cope with various kinds of diseases such as abdominal bloating, nausea, diarrhea, jaundice, loss of appetite, coughing, asthma, hernia, insomnia, kidney stones, arthritis, and even to improve vision. Garlic (Allium sativum) is a herbaceous plant that is widely used as a spice in cooking. This plant is widely grown in the fields in the mountainous area that gets enough sunlight. Garlic has been known to humans since about 4000 years ago. 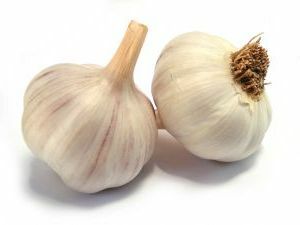 In a papyrus dates to 1500 BC found records that the Egyptians believed that garlic has a 22 benefit to treating disease. No wonder if the garlic found in the tomb of King Tutankhamun of Egypt, and consumed by the builders of the pyramids to increase stamina and prevent disease. In the past, the Greeks and Romans used garlic to treat leprosy and asthma, as well as dispel the scorpion. While in Lebanon recipes, garlic has long used as a recipe for diet. Garlic, among others, believed to have benefits as lowering cholesterol levels. Ajoene substance contained in garlic, which is a compound that is anti-cholesterol and help prevent blood clots. Garlic can also help prevent cancer as evidenced by research conducted by the University of Minnesota. The study showed that the risk of cancer in old age is reduced by 50 percent when eating garlic regularly. No wonder the current food supplement of garlic is also very salable in the market. Garlic is known to have a content of more than 100 species of naturally occurring chemicals that can cure various diseases. Garlic contains vitamins A, B, C, calcium, potassium, iron, antioxidants, carotenoids, selenium, and various other active ingredients. The most important elements of healing in garlic is an amino acid alisin. Alisin able to prevent the accumulation of platelets in the arterial wall that usually cause blockage and eventually lead to stroke or heart attack. Garlic contains volatile oil, which is anti bacterial and antiseptic. Allicin and aliin related to the anti-cholesterol. This power can prevent coronary heart disease, high blood pressure and others. Stem tubers contain substances such as calcium, saltivine, diallysulfide, alilpropil-disulfide, sulfur, protein, fat, phosphorus, iron, vitamin A, B1 and C.